Today is February 5 and Danish Crown Princess Mary celebrates her 47th birthday. Crown Princess Mary was born on February 5, 1972 in Hobart, Tasmania, Australia. She got married to Crown Prince Frederik of Denmark on May 14, 2004 and the wedding took place in Fredensborg Palace. The couple has four children, namely, Prince Christian, Princess Isabella, Prince Vincent and Princess Josephine. 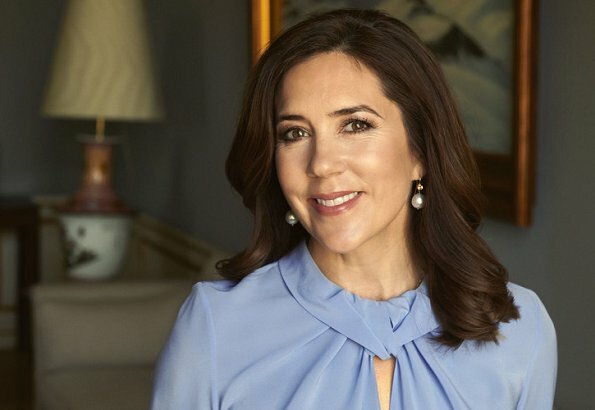 Happy birthday to you, Crown Princess Mary of Denmark. Happy Birthday to my favorite Princess. You are beautiful and soooo proud of what you have achieved. Yes, I am more than agree!lovely, beautiful,so intelligent and the most decent, modest but so classy Princess of all! Happy Birthday to my favorite Princess Mary. You are beautiful and so proud of you. My very best wishes and a Happy Birthday! to this nice and charming woman. Wishing a Happy Birthday and all the best for the future. Agree with you all, happy birthday, and you're one remarkable woman, for learning a foreign language, be a devoted mother, and faithful to your many duties! A charming hard working Crown Princess , an asset to Denmark . Happy birthday . From a humble background deep in the southern hemesphere to a future Queen in a royal world in the northern hemesphere. A very special person to make such a transition. Don't let her out of your site Federik. There's not another Mary like that available on this planet. AND happy Birthday Mary from a fellow Australian admirer.